I’d like to remember Lou for several things. With a single, solitary song of his (“Walk On The Wild Side”) that was his only exposure to mainstream rock radio for many years during my youth, it was very weird but intriguing to see articles and reviews about him in Rolling Stone and not having any real idea who he was. And it would be a long time before I’d get to hear The Velvet Underground, as their records were unavailable to us by the time I’d heard about them (I just needed to know where the cool record stores were). diverse recording, beginning with this rather sweet sounding pop song called “Sunday Morning”, ending with the grainy, edgy and noise-driven “European Son” with only a few lyrics before surrendering to that noise, and a lot of oddball songs in-between, some sung by the German chanteuse that was part of the act at the time, Nico. Maybe this was what it was like when everybody else discovered them just like I did, but I didn’t know what to make of them right away. But also being interested in some off-the-wall music here and there, and being familiar with Lou’s voice, I came to really appreciate the group and what they basically seemed to be, and realizing they were that kind of group at a time when there weren’t any others like them (at least in this country) made them speak much more clearly to my identity. I was even more excited to discover the illegitimate recordings later on, and I have posted this on here before, but this recording of “Sister Ray” from March 1969 (recorded through Reed’s guitar amp) is undeniably the single greatest rendition of that song captured on a tape. I was really excited about Lou’s solo music as well. The first time I heard Transformer, it was already appealing for the presence of David Bowie and Mick Ronson all over it–I thought that it could have been Lou’s Ziggy Stardust, but it wasn’t a concept album. Berlin, on the other hand, is one, and it’s a really stunning (a bit of a downer, but stunning) piece of work for only his 3rd album into the solo years, with such brilliantly orchestrated songs, some of which were Velvets tunes first. At one point, I remember my friend Scott telling me that he didn’t think the version of “Sad Song” from Berlin was as good as the Velvets’ version because he just spoke the words “sad song” on the chorus. He was right about that part, but having heard the recording later, it was discovered that the spoken words were embellished with backing vocalists. Basically, the recording on Berlin is a truly amazing realization of a song that was already a brilliant demo recorded for Loaded, yet then it was still just a sketch of its true form. And how do you react to something as bizarre as Metal Machine Music? Again, first impressions are difficult at best with Lou Reed. Now that we have it digitally remastered on CD and are able to play it at our whim, it comes in very handy when you want to drown out the chaos of the world. New York was my favorite Lou Reed solo album for a long time, even more than Transformer. I still think it is one of my favorite albums ever by anyone. Such an untethered and basic rock and roll sound that quite obviously no record executive messed with. My favorite song on the album is “Dime Store Mystery”, not so much for its story, but the sound of the 2 guitars is what I’m obsessed with. I was fascinated with the recording of the guitars when Lou described in the liner notes that he was on one side and 2nd guitarist Mike Rathke was on the other, and the angry, distorted straight D-chord belting away on the left up against this rather chorus-y, clean guitar on the right playing in E, sandwiching the cello and the drums (I think it’s Moe) really has a resonance I can’t describe, but it’s the perfect closer to this already exciting album. I was on the anti-Lulu bandwagon like so many people that had a chance to sample the recording–When you hear snippets of something you just aren’t sure of, you probably won’t care for it, and I think there was a variety of people–Whether they hated Lou Reed already anyway, or people that like Lou and didn’t think Metallica was a good fit–that got the same bias against the recording. Not being a huge Metallica fan, I was coming in from that neighborhood. But now hearing it, and maybe this is an unfortunate bias FOR the record since this is now after the fact, I think I have been unfair. Without bias or interference, it is a much richer and exciting recording hearing it in its entirety. I really do think it needs more listens, but it sounds like a much darker piece of work than anyone can be prepared for, perhaps darker than Berlin. I have never seen the stage plays that it’s based on, but I can say for sure that musically, it definitely sounds better as a whole, and I stopped worrying about whether Metallica was a good fit. I invite you all to give Lulu a second chance–It streams here. 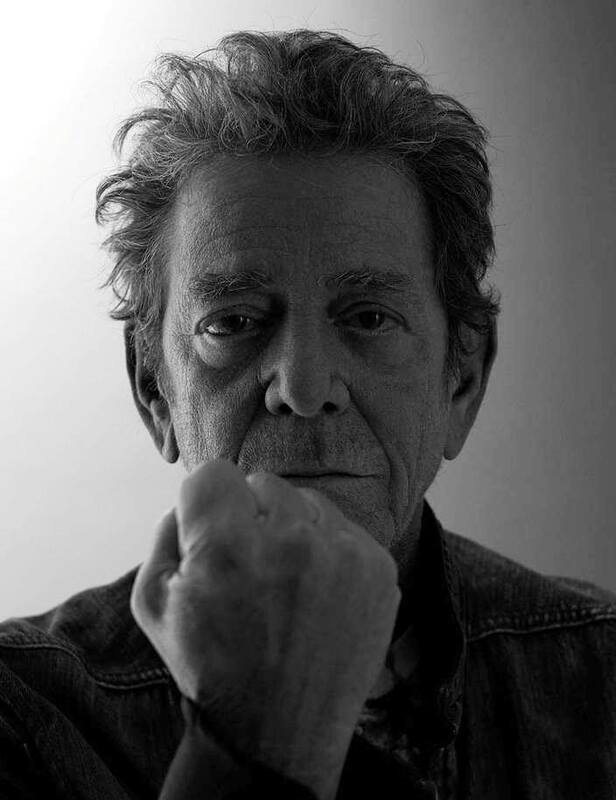 Lou Reed was an amazing figure in my musical history, and I wish that he’d lived long enough for me to interview him. I probably would have soiled myself at the thought of it, but sadly, we’ll never know. This entry was posted in Avant Garde, Composers, Indie, Musicians, Poetry, Rock and tagged Berlin, electric guitar, Laurie Anderson, Lou Reed, Lulu, Metal Machine Music, Metallica, singer-songwriter, The Velvet Underground, Transformer. Bookmark the permalink.